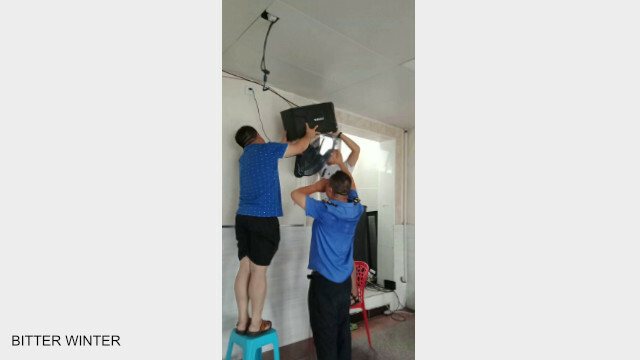 On September 16, more than thirty officials showed up at a Sola Fide house church in Hengyang city’s Zhengxiang district in China’s southern province of Hunan. Notice for the closing down of the church’s meeting place. 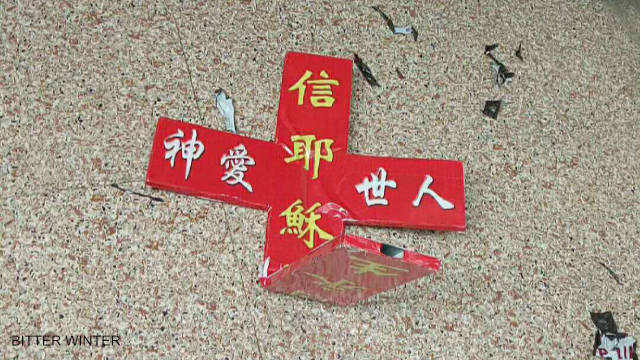 They then proceeded to tear apart the church’s cross and other religious symbols. They also confiscated the Bibles, hymnbooks, electric equipment, piano, tables, chairs, audio speakers, and other items from the church. When one elderly believer tried to protest the looting, he was pushed aside and shoved to the ground. The cross was removed and destroyed. Officials are dismantling an audio speaker. The officials also took photos of all the believers and registered their ID details. 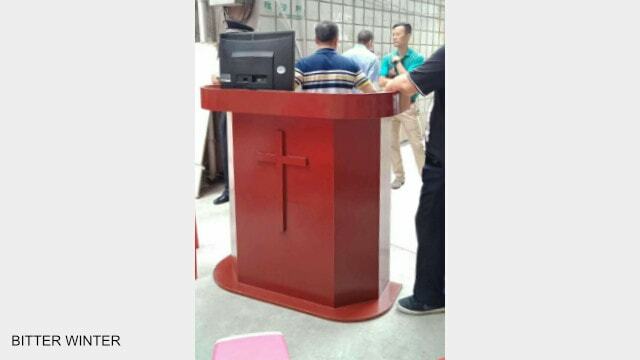 The church’s leader, Zhang Jian (pseudonym), was taken into custody for “disrupting social order.” He was transported to the local Public Security Bureau and interrogated about the church’s funds and bank details. He was released soon after. Church items were seized and taken away. Bibles and other religious books in the church were confiscated. 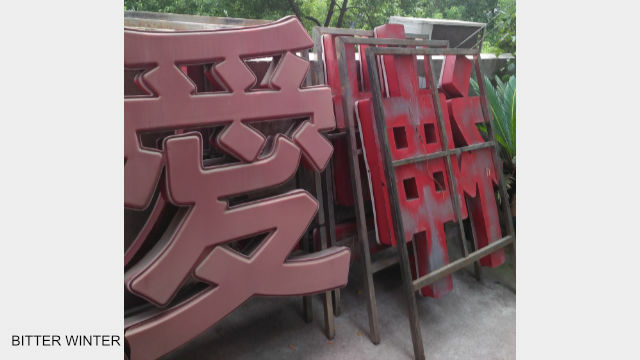 Christian slogans have been taken down from the walls of the church. Within days after the raid, members of the congregation put the church back together again and resumed meetings. 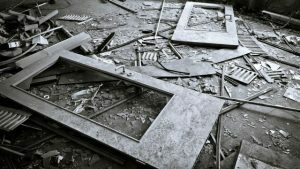 However, on October 28, the officials showed up again to raid and loot the church, as before. 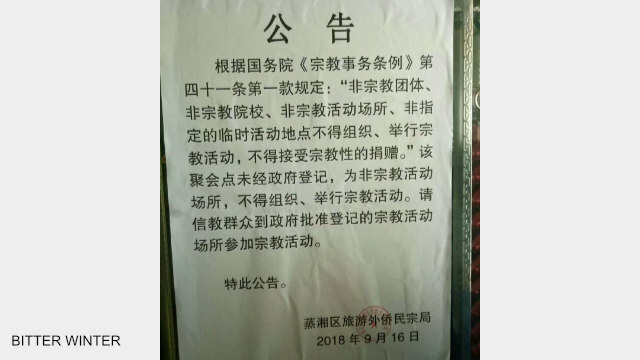 As per inside information, the authorities are harassing the church because Mr. Zhang had previously refused to join the government-controlled Three-Self Church. 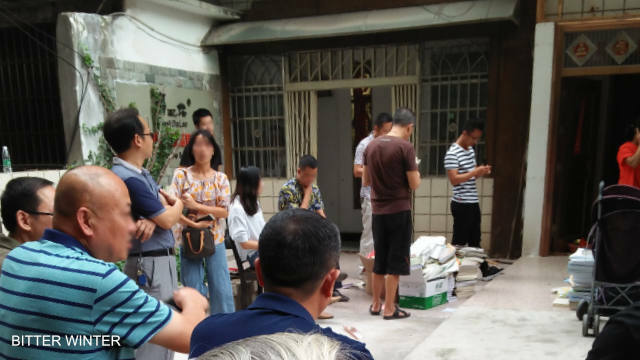 Officials from the Ethnic and Religious Affairs Bureau repeatedly came to the church during the week leading to the first raid ordering Zhang Jian to register with the government-approved Patriotic Movement or face the consequences. Each time, he refused, saying that he would instead be imprisoned than join the Three-Self Church.